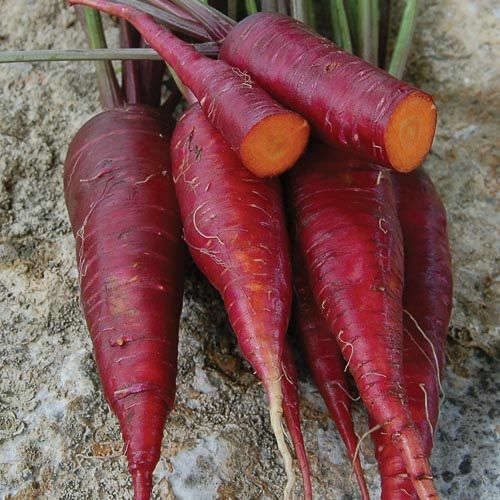 The most refined purple carrot available; bred by SSE member John Navazio. Sure to be the best selling carrot at specialty and farmers’ markets. Beautiful red-purple exterior provides an amazing contrast with the yellow-orange interior when sliced. Sweet, almost spicy flavor. 90 days.